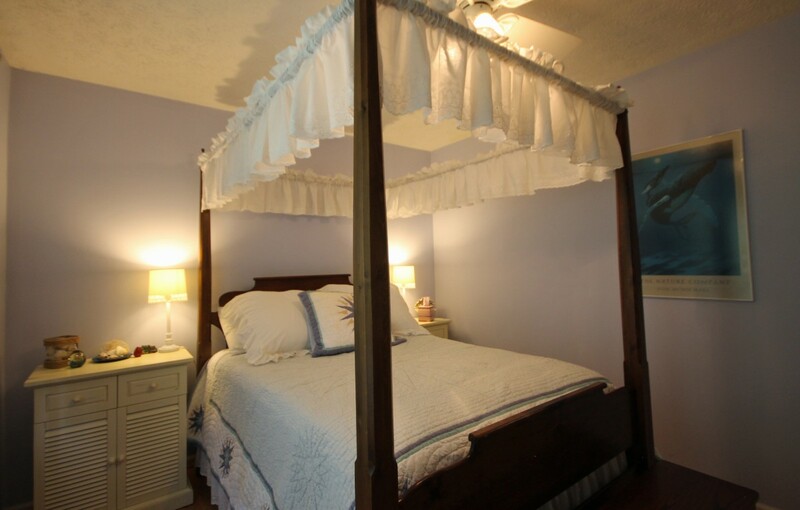 Come experience country charm close to Brevard! 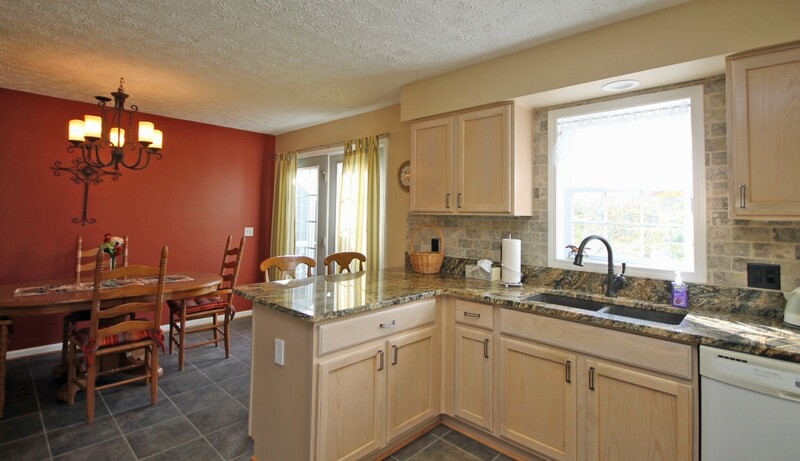 The open kitchen layout is a great place to entertain and relax. Here is the front of the home, and you can see the barn to the right. 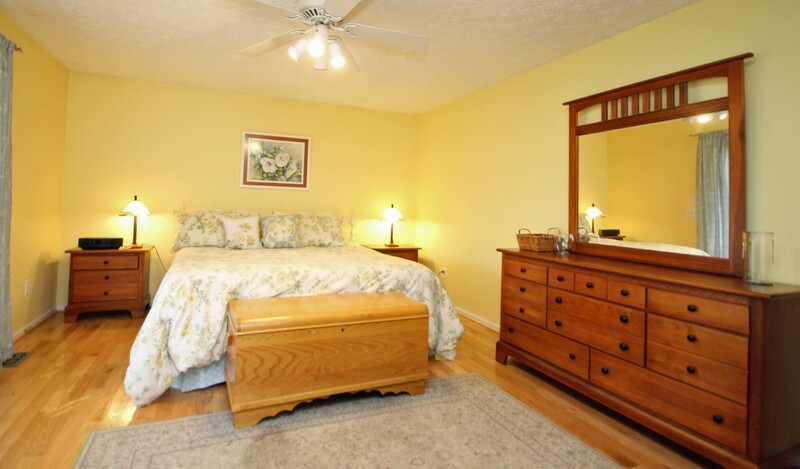 The master bedroom features a comfy King bed and beautiful furnishings. 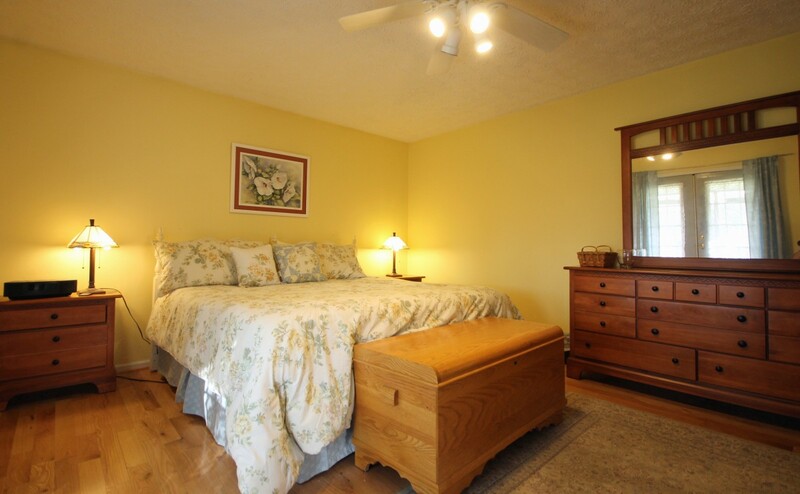 In the bright and cheerful second bedroom you will find this lovely Queen bed and repurposed school desk side tables. 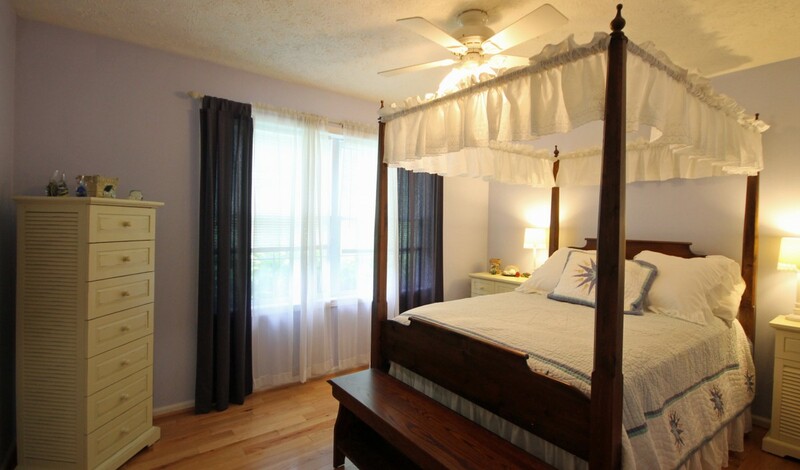 The four post Full bed in the third bedroom is every kid's dream come true! 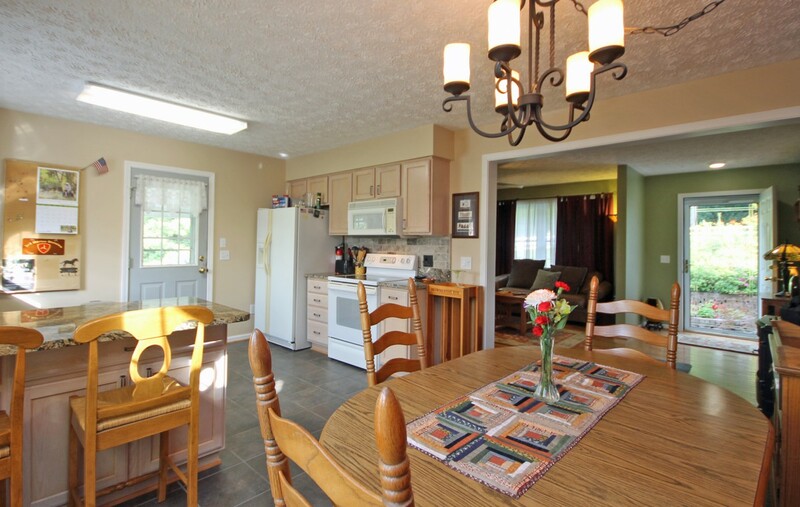 The living room has plenty of comfortable seating, and features a big TV and stereo system. 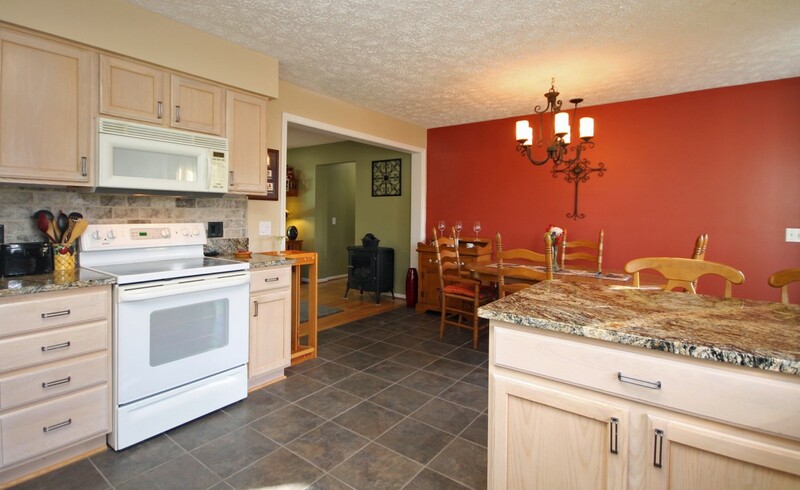 The kitchen is well stocked with everything you need to prepare meals during your stay. 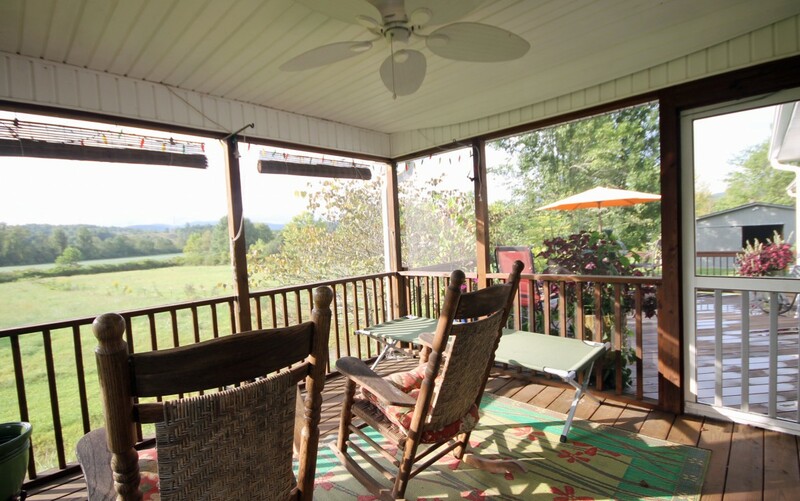 The screened porch is a great place to relax and enjoy the view. The deck at the back of the house is just beside the screened porch. We love the peaceful setting, the flowers and the view. 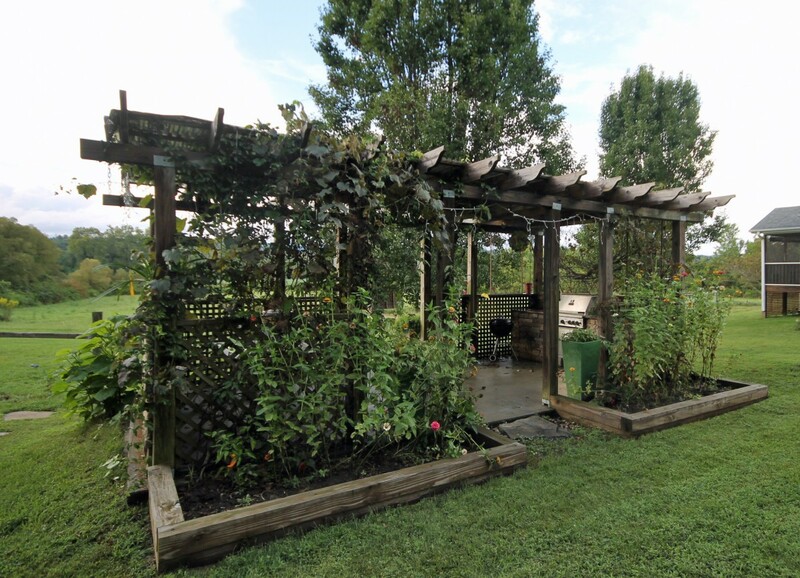 This lovely pergola comes complete with grape vines, grills and seating. This is the place to be when you want to grill and enjoy the outdoors. 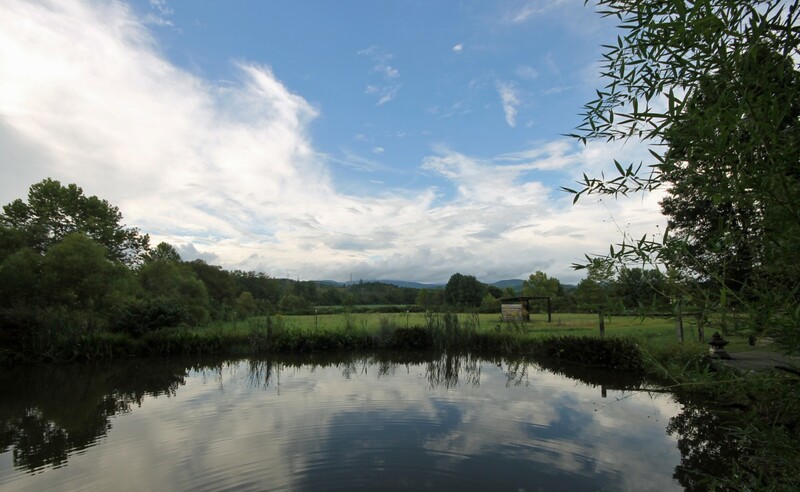 We love the valley view, the pasture and the dramatic sky. 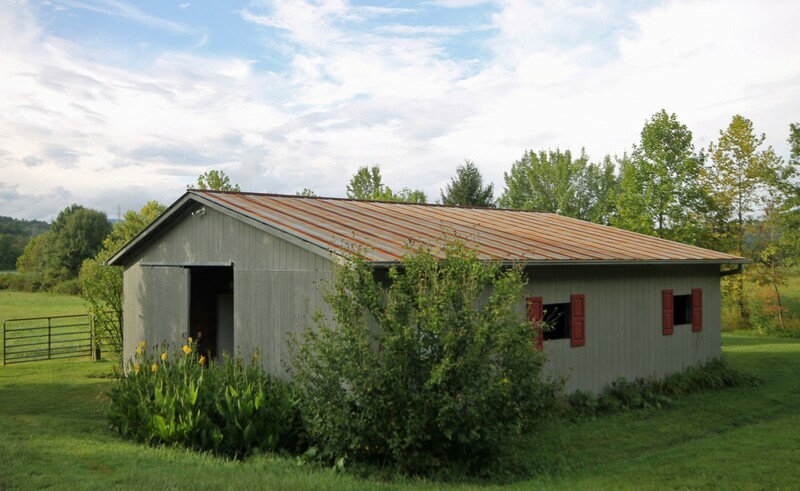 This barn has three stalls for your horses and a secure area to store your bikes and other equipment. We hope to have the fence repaired soon so stay tuned. We love the big dresser in this room. 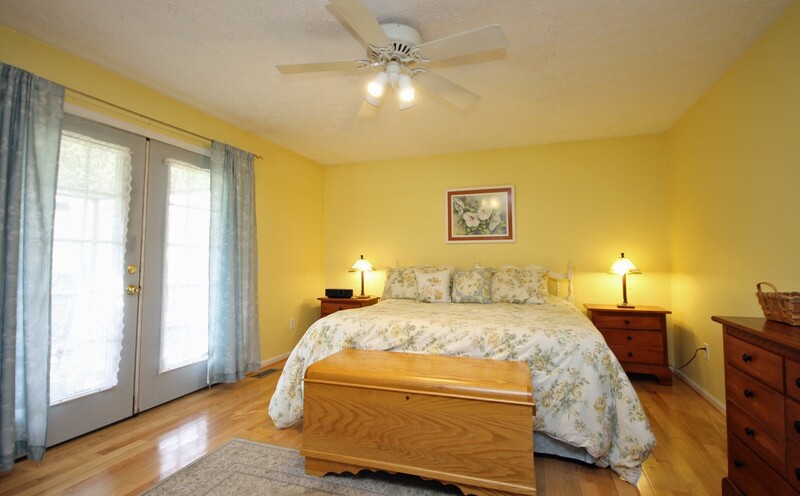 Lots of light makes the master bedroom cheerful and bright. 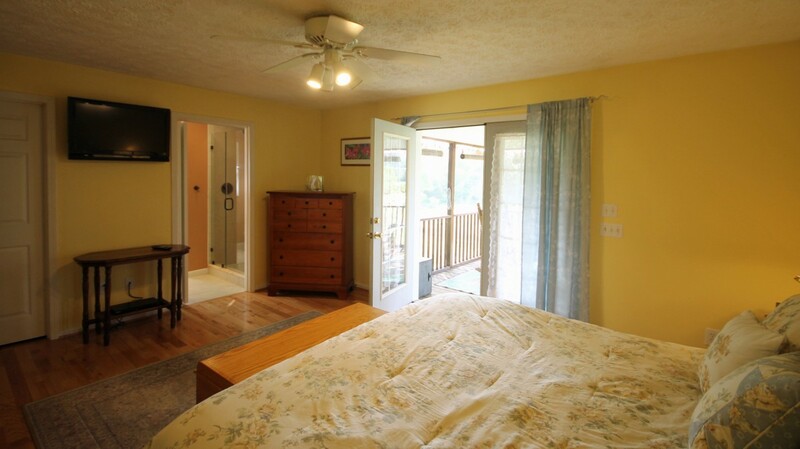 In this view of the master bedroom, you can see the TV, the doorway to the screened porch as well as the master bath. 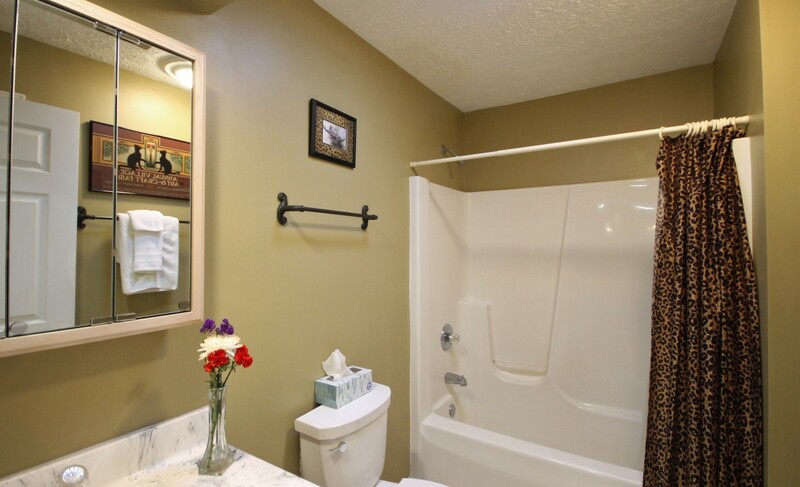 The master bath includes a big tub and a deluxe tiled shower. 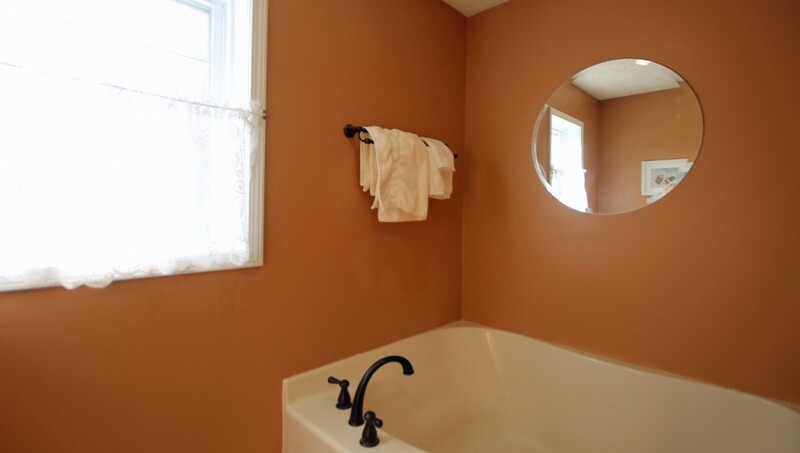 There is a big tub in the master bath where you can soak and relax. 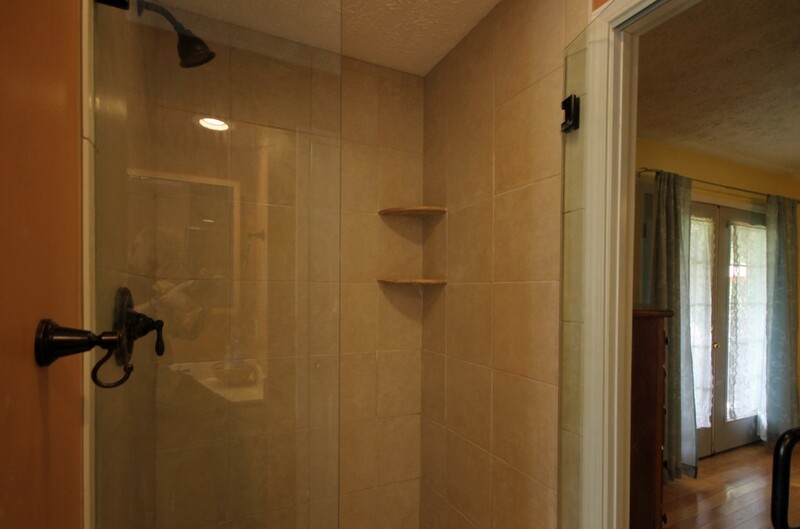 This big tiled shower is the best feature of the master bath. 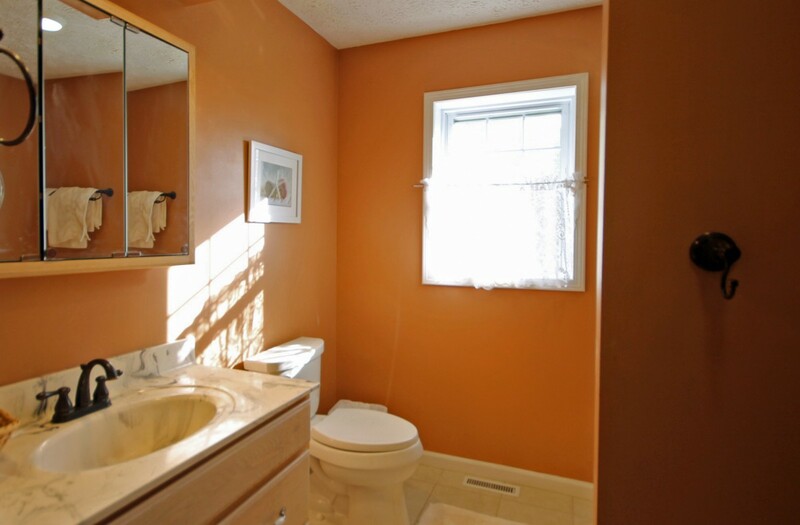 The guest bathroom serves the main part of the house. The kitchen is bright and open. In this view you are looking from the living room toward the dining area and the hallway leading to the bedrooms. We love the four post bed! The second bedroom is so cozy and bright. 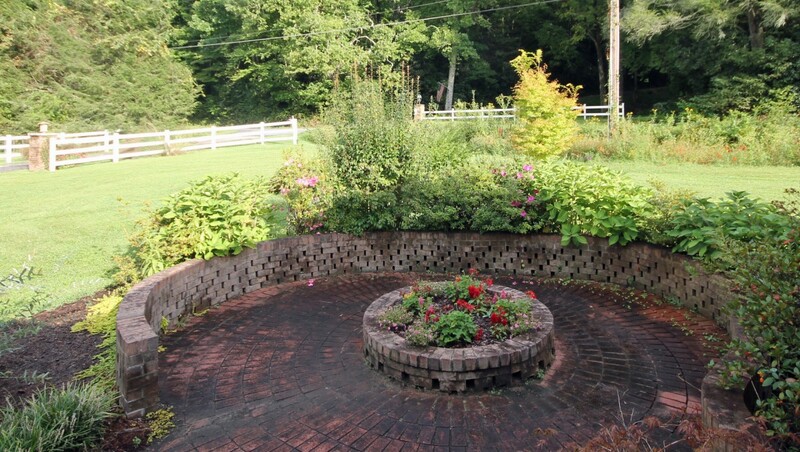 The brick patio with its flower garden is just outside the front door. Pull up a chair and sit beside the pond at the cute dock just beside the pergola. 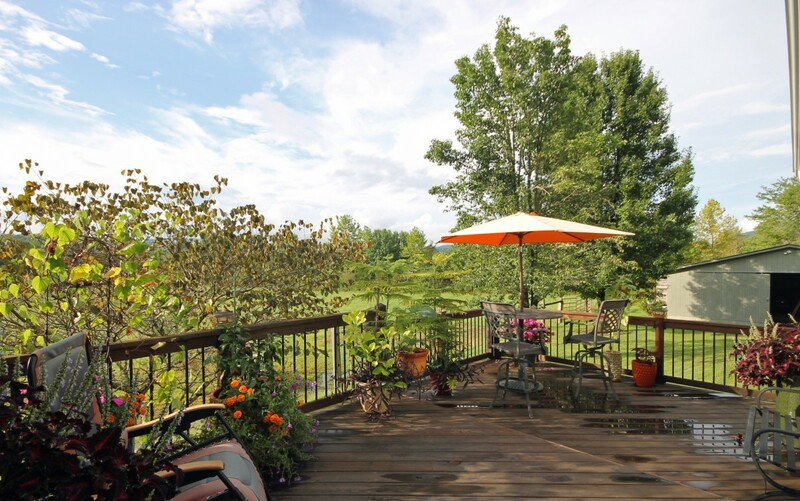 The deck features lots of flowers and a great view. When our brother passed away and left us his beautiful home, we decided that the best way to honor his memory would be to share it with others. He called it Vaquero (Spanish for "Horseman") because of his love of horses. The property includes a three stall horse barn with secure storage for bikes and other equipment. The pasture borders the French Broad River in the back of the property. We plan to complete repairs to the fence soon so we can accommodate horses in the near future. Vaquero's outdoor spaces have been lovingly maintained and include a screened porch and deck that overlook the pasture and the dramatic mountain view beyond. 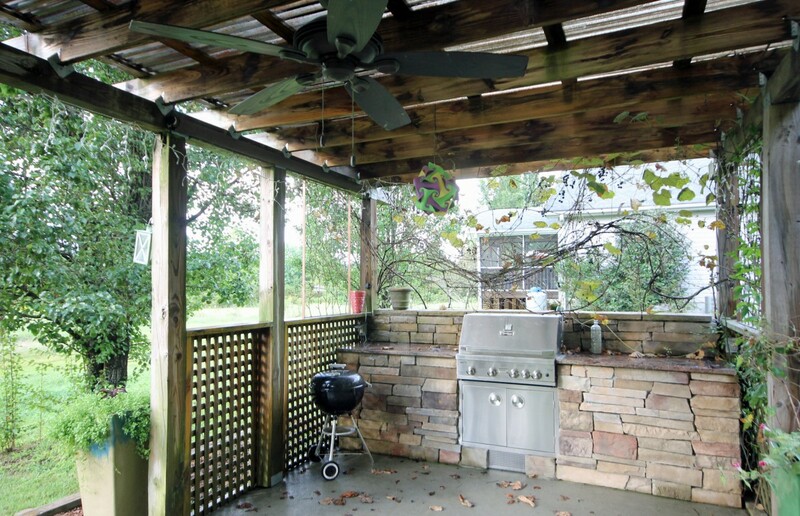 There is a lovely gazebo where you will find both a gas grill and a charcoal grill. 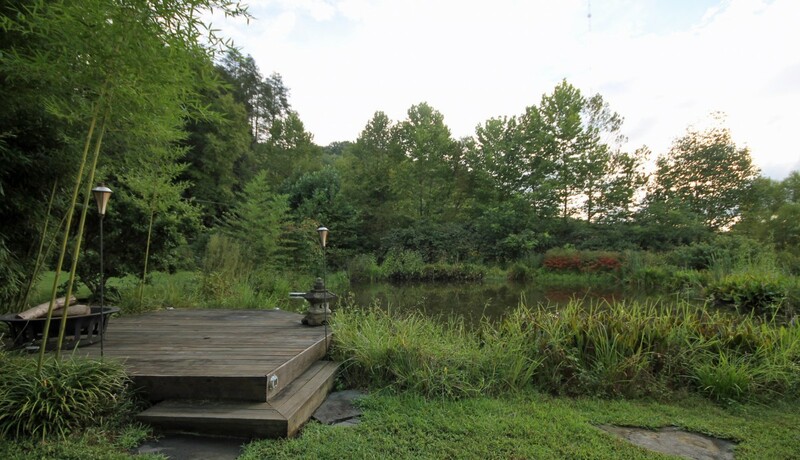 The pond beside it has a little dock, which is a peaceful place to sit and relax. We are nestled in the valley so you don't have to drive on any twisty mountain roads to get here. Come explore Brevard, Asheville, Hendersonville and the surrounding communities. Vaquero is located a mere 2 mile drive to Oskar Blues Brewery and several other excellent local breweries. Beautiful Sierra Nevada Brewery is only about a 30 minute drive away with tours and a restaurant. 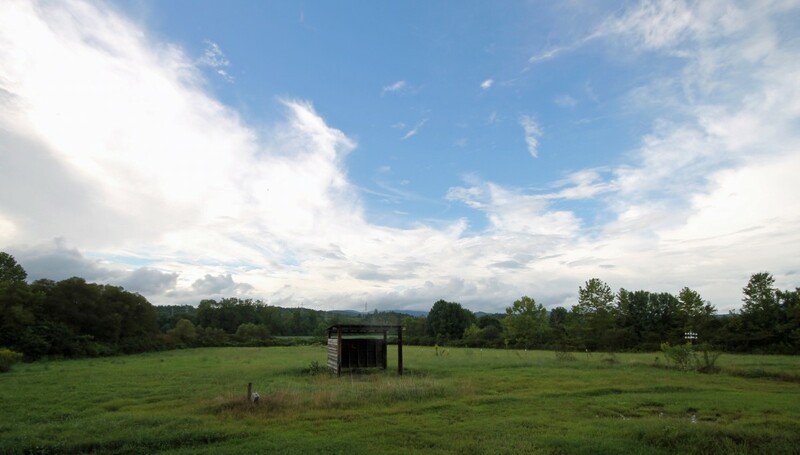 We are just minutes from downtown Brevard and the entrance to Pisgah National Forest. It's also a short drive to DuPont State Forest, the site of the beautiful waterfalls featured in The Hunger Games. Opportunities for outdoor activities are endless, including biking, hiking and sightseeing. Check out the shopping, dining and scenery as you walk down Main Street in Brevard. Be sure to check out The Proper Pot, a great kitchen store that also sells wine, cheese and other yummy snacks. Another favorite is Main Street Ltd., a great gift shop right next to Quotations Cafe which is known for the occasional patronage of Steve Martin, a seasonal Brevard resident. Of course, Brevard is home to the renowned Brevard Music Center, and is also host to annual festivals including the White Squirrel Festival every Memorial Day Weekend, the Twilight Tour and festival in early December, great 4th of July festivals, the Mountain Song Festival every September, and lots of fun activities on Halloween (Brevard is in Transylvania County, after all). We look forward to hosting your visit, and we hope you love Vaquero as much as we do! A comfortable house with lots of outdoor space. Well equipped kitchen for those who cook. Seating in the living room is limited; could use another chair or love seat. Great master bedroom and bath. 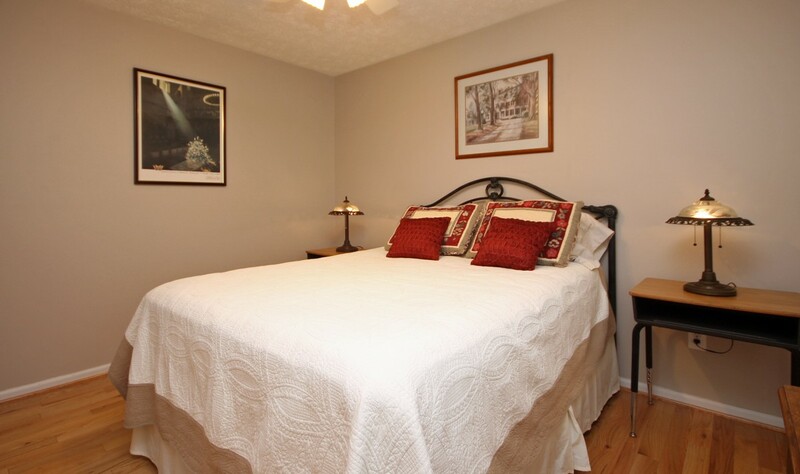 Convenient location for visiting the surrounding towns, state parks and national forests. We are so glad that you enjoyed your stay at Vaquero. This property was exactly as described and then some. We truly felt like we were staying in someone's home, not a boring hotel. It is located so close to Brevard where you can find just about anything you might need. I would highly recommend Vaquero! We are so glad that you enjoyed your time at Vaquero. We found the [perfect location in the mountains for the family vacation. Our son is an avid mountain biker and he said there couldn't be a more convenient location. He was only three miles from Pisgah National Forest entrance and only a little further from Dupont State Forest, It is a bikers dream location. The rest of the family enjoyed both the location to outdoor activities and the convivence of dinning and shopping in Brevard. Vaquero was the perfect "home away from home", base of operation for our extended weekend. 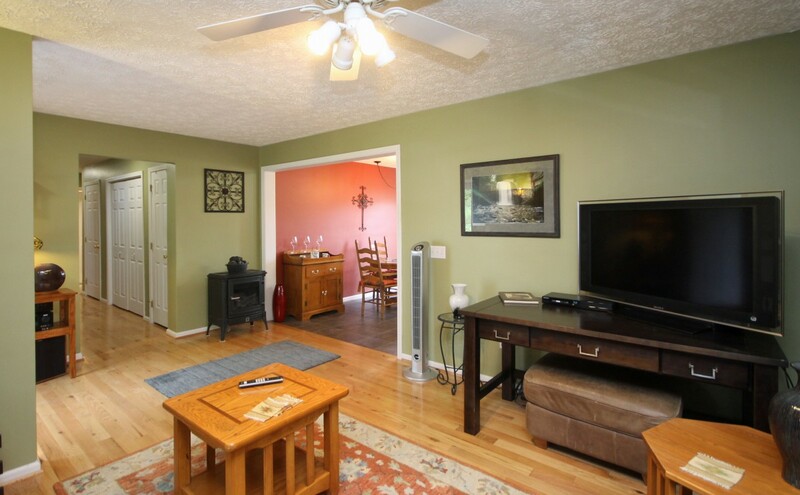 The house is perfect for a family who wants access to all that wonderful Western North Carolina has to offer. Perfect for hikers, mountain bikers or horseback riders. 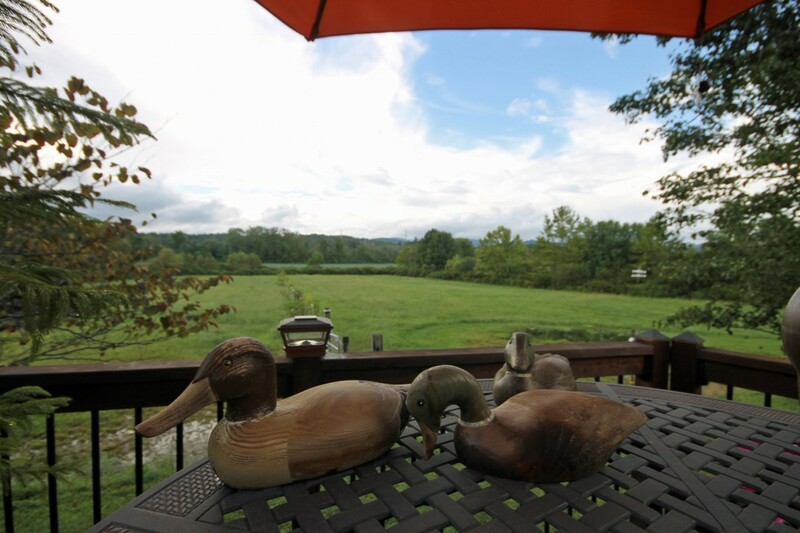 The property comes complete with barn and fenced pasture. 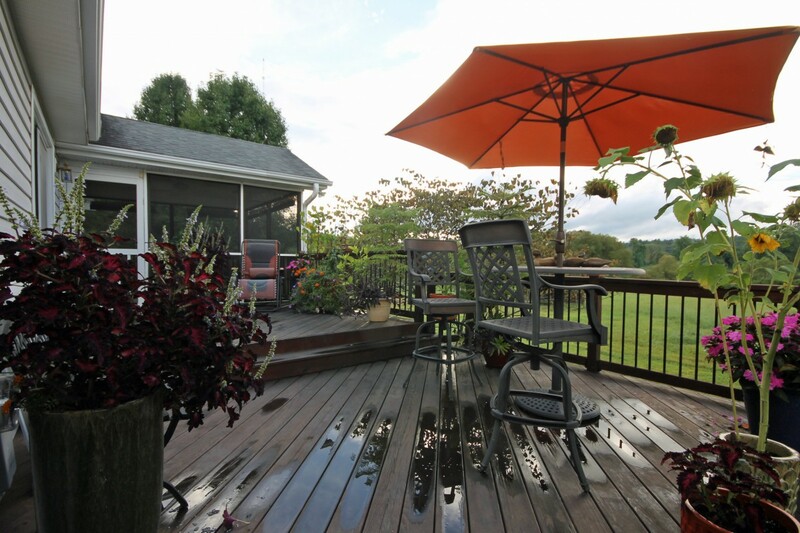 Very nice decks, gazebo and wildlife pond are all included. The house is very clean and comfortable. We will be back for certain! Thank you for the lovely review. We are so glad that you and your family enjoyed your time spent at Vaquero and look forward to hosting you again.